A new study has shed new light on the impact of 750 years of Polynesian settlement in New Zealand, especially on the country’s fauna, according to a report in the Kiwi newspaper, the New Zealand Herald. The study, titled Subsistence practices, past biodiversity, and anthropogenic impacts revealed by New Zealand-wide ancient DNA survey has been published this week in the Proceedings of the National Academy of Sciences or PNAS journal. The study was led by researchers from the Curtin University in Perth, Australia, with assistance from the University of Otago and the Canterbury Museum in New Zealand. The research marked a departure from the past. Traditionally, research on the biodiversity of the past has revolved around well-preserved bone fossils, which are used to characterise extinct species. However, only very few bones from excavations are whole, and many are so damaged they are of no use to researchers. This means a very large proportion of the pieces in the jigsaw puzzle has been left unused. In the current study, however, researchers extracted and analysed DNA from fragmented, unidentifiable bones. These include bones excavated from caves that predate human arrival as well as bones from ancient human kitchen waste (or middens), collected from across New Zealand. The researchers discovered that the DNA belonged to over a 100 different species of which, 14 are extinct today. One species that the researchers found surprising results for was the kakapo, a type of ground-dwelling, flightless parrot endemic to New Zealand. The researchers identified a total of 10 kakapo lineages out of which only one is still around today. This, the researchers said, was an example of the considerable impact humans have had on New Zealand's biodiversity since settling here about 750 years ago. Other species mentioned in the study include the New Zealand Fur Seal, New Zealand Sea Lion, Southern Elephant Seal, Leopard Seal, Southern Right Whale, Fin Whale, Orca, True dolphins and Cuiver’s beaked whale. According to historians, Polynesians first arrived in New Zealand around 1280 AD. They developed their own distinct culture and evolved into a new people, the Maori, who are similar to and yet different from other Polynesian peoples like native Hawaiians, Tahitians, Marquesans and Easter Islanders. 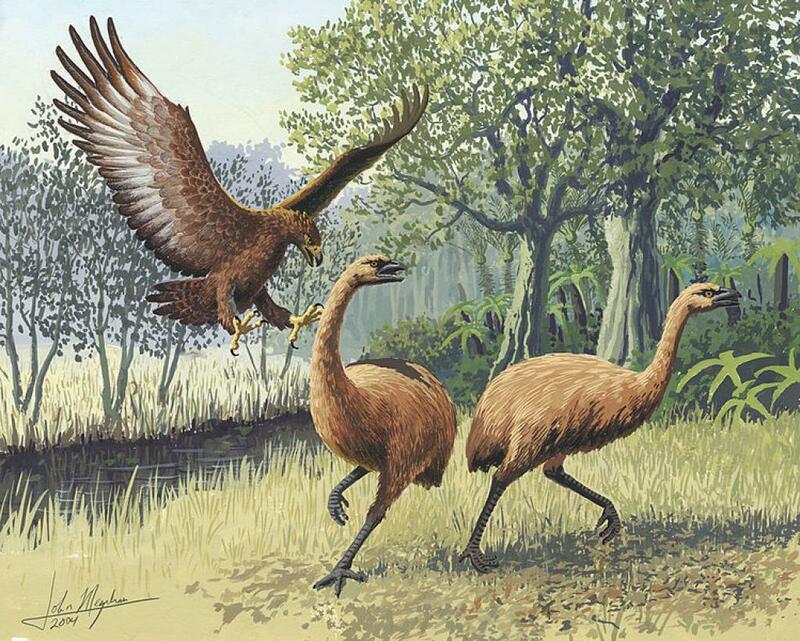 The Maori hunted many of the archipelago’s endemic animals, including the Giant Moa to extinction.